Improvements in technology have made modern windows vastly more effective in improving the energy efficiency of your home than those made in decades past. According to Energy Star, the government’s standard for energy efficiency in consumer products, replacing older windows with Energy Star-certified windows can save between $101 and $583 for single pane windows and between $27 and $197 per year when replacing double-pane windows. Over time, these energy savings will more than repay the investment homeowners make in replacing windows. Energy is lost through windows in a number of ways. 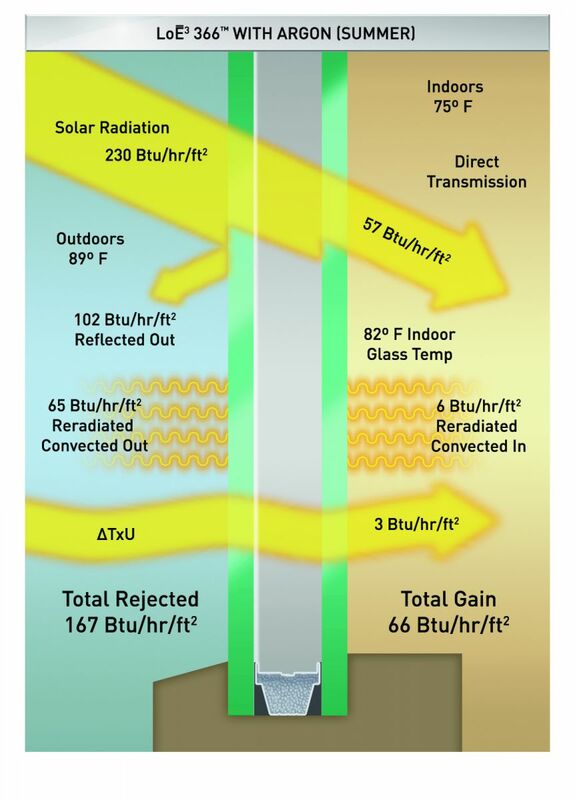 About 2/3 of energy loss from windows occurs through radiation through its glazing. In the winter, heat from inside the home will pass through the solid surface of the window outside, requiring more heat production to keep the home warm. In the summer, heat will pass through the window to inside the home, requiring more work from the air conditioner to maintain a comfortable temperature. Air leakage also results in energy loss. Most modern windows use low-e glass, a specially insulated form of glass. Window manufacturers produce low-e glass by applying a thin layer of metallic oxide coating to the glass that allows light through but blocks UV rays and reduces heat transmission. As a result, the windows reduce energy loss by up to 50 percent. Filling the space between glass panes with argon or krypton glass to improve insulation can also reduce energy loss. Newer windows and window frames also reduce energy loss by doing a much better job of sealing cracks and gaps that may let hot air out during the winter and cool air in during the summer. Cracked or rotting window frames. Frequent condensation or frost build up on the windows. Windows are very hot to the touch during the summer or cold to the touch during the winter months. You feel drafts near your window. It’s estimated that the average home loses about 10 percent of its heat through its windows, so upgrading windows to more efficient modern models can have a big long term impact on energy costs. Improved energy efficiency isn’t the only benefit of replacing your windows. New windows can improve the aesthetic appeal of your home and help raise its property value. Washington Energy Services is a family-owned heating and cooling home improvement contractor. Founded in 1957, Washington Energy Services has generations of experience in providing comprehensive home heating and cooling solutions, including sales, installation and service. A member of the Puget Sound Energy Contractor Alliance Network, Washington Energy Services has an excellent local business reputation. Contact us today for a free estimate.